The Bocuse d'Or is the real-life Top Chef, a biannual cooking competition in France featuring teams from twenty-four countries vying for the top honors. Named after Paul Bocuse, one of the greatest, most influential living chefs, the Bocuse d'Or has become the most sophisticated and closely watched cook-off in the world. Ironically, though American cuisine now rates among the best in the world, a U.S. team has never placed among the top three in the competition. In 2008, under the auspices of renowned chefs Daniel Boulud and Thomas Keller, the two-person U.S. team of Timothy Hollingsworth and Adina Guest trained in a specially outfitted facility in preparation for the 2009 competition with the goal of a best-ever showing for the United States. 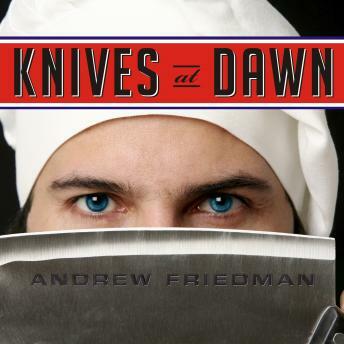 With unparalleled behind-the-scenes access, Andrew Friedman follows the American contestants and other hopefuls as they spend months training to cook and serve their dishes just once, over the course of five and a half tense hours, in an arena filled with a thousand screaming spectators. Along the way, he paints intimate portraits of Boulud and Keller, two of the leading culinary figures of their generation, revealing their hopes and aspirations for their proteges as well as for American cuisine. Through this compelling sports-meets-cooking story, Friedman explores the clash of culinary titans and cultures in a real-world kitchen stadium and ratchets up the suspense of who will reign supreme.